The Equity Edge Realty Team is built on a foundation of teamwork and dependability in order to help you achieve your dream of owning Colorado real estate. Latisha Adams is focused on providing a personalized home buying experience as you search for homes for sale in Colorado Springs, Fountain, and the surrounding areas. To the Equity Edge Team you will never just be a number. Our goal is to pay personalized attention to each family’s unique situation as they search for homes in Colorado Springs. We will work to find the right home that works best for your family. Our years of service in the Army and the reserves have taught us the value of those serving in our military and civilian posts around the world. We specialize in helping active-duty military, ex-military, retired military, department of defense civilians, and anyone else who wants to be treated like an extended part of our family as they search for homes for sale in Colorado Springs and the surrounding areas. We too have served and know what it is like to move around the country on a regular basis. While we focus on helping veterans establish roots in a new community, our goal is to make it easy for anyone moving into new homes in Colorado Springs and the surrounding areas. Our goal is to make buying homes in Colorado Springs a smooth, seamless, and transparent process. We removed the stressors of long distance moves with expert communication and attention to your needs. Whether you are half a world away relocating to Colorado Springs, or right around the corner, we will make the home buying process an easy one. Because of our commitment to veterans around the country, for every closed home completed by the Equity Edge Team we pledge a donation to The Wounded Warrior Project and the Disabled American Veterans. These organizations are near and dear to our hearts. Our commitment does not stop with veterans. We get involved with many local charity events to give back to our community. We love the surrounding community made up not only of homes in Colorado Springs but also incredible businesses, nature areas, and people. We offer access to a range of Colorado Springs real estate. Search here for homes in Colorado Springs, Fountain, Monument, Palmer Lake, and surrounding areas in El Paso County as well as Douglas County and Denver County. Latisha will personally assist you on narrowing your choices and touring homes. 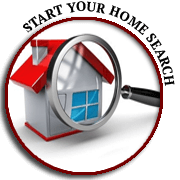 Begin Your Home Search! Do you have a home to sell? 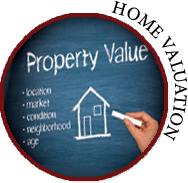 Latisha can provide you with a free personalized home valuation based on the true value of your home. 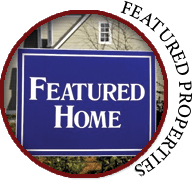 She will look at your home’s unique features in comparison with other homes for sale in Colorado Springs specific to your neighborhood. Find Out What Your Home Is Worth!